Adventure Time has been on a streak of poignant, introspective episodes that use the fears and anxieties of the cast as launch pads for imaginative cartoon escapades, which makes this week’s inconsequential story even more of a derailment for the second half of this season. “Box Prince” feels like a lost episode from earlier in the series, one of those season one installments that introduces a character and location that will never appear in the show again. It’s one of the few times the show has exhibited signs of fatigue during this lengthy 52-episode season, spinning wheels for a forgettable chapter that doesn’t take advantage of the more complex circumstances provided by recent events. Finn has been receiving some major character development for a while, but now that he’s back from his Dungeon Train therapy, he’s returned to his old restless self. When a cat wearing a box appears outside the tree house after a storm, Finn decides to take on a mission that is completely fabricated in his mind; meanwhile, Jake has a tortilla chip stuck in his teeth. The combination of Jake hogging the video games and storm-related ennui causes Finn to create a narrative in his head when he discovers his lonely visitor, interpreting the cat’s meows as dialogue describing a tale of lost crowns and betrayal. He follows the Box Prince to its home, a kingdom of boxes populated by other cats with boxes on them, and tries to get his new friend back in power no matter the cost, a plot that seemingly has no other purpose than to provide a reason to surround Finn with cats. This episode feels like an idea for a gag stretched to fill an entire 10-minute plot, with a B-plot derived from the writers getting something stuck in their teeth. Somvilay Xayaphone and Seo Kim previously partnered on the emotionally dense “Earth & Water,” so they can definitely do better than “Box Prince.” At the end of the story, there’s little sense that these characters have gone through any sort of journey, with both threads building to anticlimaxes. The Box Prince is an adorable cat wearing a box with a face on it, but the character is just cuteness for the sake of cuteness. So much of this episode’s success relies on the viewer’s appreciation of adorable little kitties, placing emphasis on a visual rather than the story behind it. If you dig deep enough, some of the themes from this season do come through in the story. 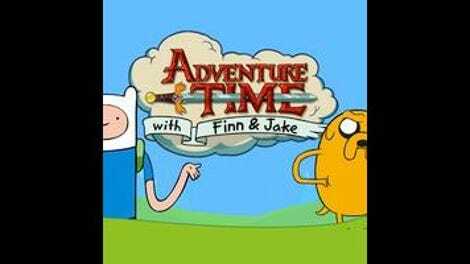 It continues to distance the infinitely energetic Finn with the increasingly lethargic Jake, and Finn’s mental narrative about the Box Kingdom is representative of an aching need to bring meaning to his life by making every encounter the start of a new adventure of highest magnitude. He’s a teenager looking for purpose, and a cat with a box on it could potentially be a message from the universe. He gives this potential sign a lot of fake importance and follows it wherever it goes, using his imagination to add details along the way that make him a hero. At the end of the episode, he briefly realizes that he’s created a fantasy, but any significant self-discovery gets buried in the wave of furry kittens. There’s a section of this show’s fandom that would like to see the series spend less time on the relationship aspects and more time on adventuring, but this episode reveals the problem with that kind of thinking. After a run of stories that did fantastic work balancing both sides of the equation, this episode ignores the relationship elements to give Finn the opportunity to explore on his own, and it feels empty in comparison to what came before. In an attempt to balance the lightness of the main plot with something more significant, the subplot goes philosophical as Jake refuses to use his stretching powers to remove the chip from his tooth. (It also provides a fun montage of stretching gags.) Life is about challenges and struggles, so Jake decides to keep the chip in his teeth as a constant reminder of that truth. Finn is similarly focused on the challenges and struggles of life, but in his case, he creates them for himself when they don’t occur naturally. The problem is that as Finn gets older, the adventures pose less difficulty whereas the relationships become harder, so there’s more drama to be mined from his interactions with others. 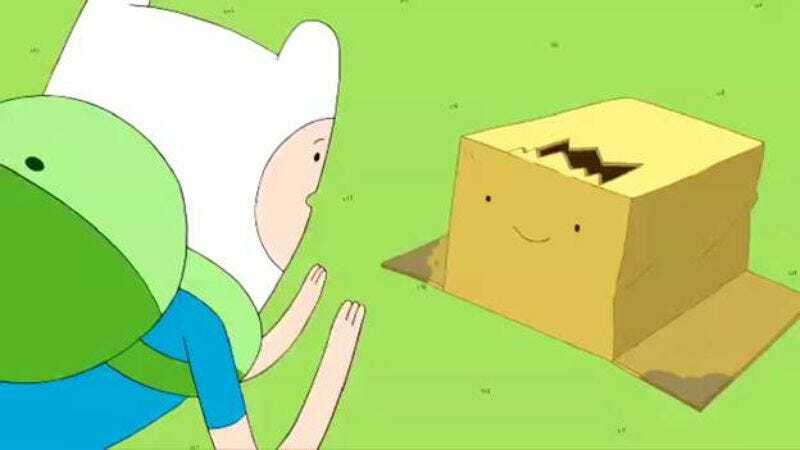 That interaction is sorely lacking in “Box Prince,” which separates Finn from Jake and gives him a partner that only meows, forcing him to create obstacles that aren’t there if he’s going to have any fun. The stakes are low because they’re never there in the first place, making this a particularly insubstantial part of a season that has been about bringing weight to these characters and this universe. The shot of Finn crawling through the forest behind Box Prince features some beautiful animation. No matter how unremarkable an episode of Adventure Time is, you can always count on gorgeous hand-drawn animation. “J’accuse!” I need someone to make a dictionary of Adventure Time speech and the different foreign languages that are used in Ooo (French, German, Korean, etc.). “Floss is for losers.” Jake, once again providing bad advice.